Growing stress level and changing lifestyle directly impacts on the skin and increases chances of ageing. 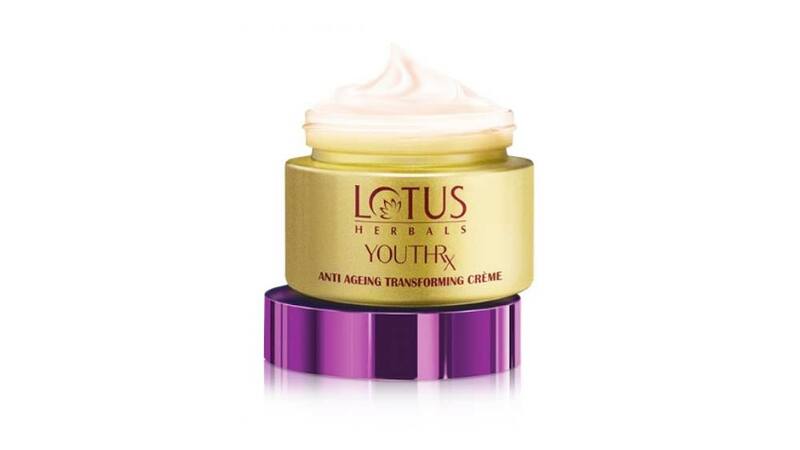 To beat the unwanted signs of ageing, Lotus Herbals has introduced YouthRx Anti-Ageing Transforming Crème. Leading natural beauty brand, Lotus Herbals has introduced YouthRx Anti-Ageing Transforming Crème, which claims to fade away unwanted signs of ageing among youth. This revolutionary anti-ageing day crème contains the ground breaking ‘GINEPLEX YOUTH COMPOUND’ derived from potent natural ingredients that are clinically proven to accelerate lifting, firming and protective action on the skin. Developed specifically for the Indian skin tone, this innovative crème is clinically tested and preservative free, making it safe to use. Lotus YOUTHRx Anti-Ageing Transforming Crème comes with the ‘Gineplex Youth Compound’ derived from potent natural ingredients. Enriched with highly potent active ingredients including Ginseng, which activates cell metabolism and boosts collagen production, Ginger which has over 40 anti-oxidants and Milk Peptide, the SPF 25I PA +++ in the crème protects against sun damage. It also visibly reduces appearance of fine lines and wrinkles in a week’s time. Gineplex blends the goodness of these potent active ingredients to provide the ultimate solution to ageing skin. Natural yet the most powerful alternative to tackle ageing of skin, YOUTHRx scientifically harnesses the active proteins and minerals from natural ingredients, replenishes lost nutrients and nourishes the skin from within, giving the skin a youthful radiant glow. The innovative anti-ageing day crème promises to give improved results if used in combination with YOUTHRx Youth Activating Serum plus Crème. A green science miracle, Lotus YouthRx Anti-Ageing Transforming Crème is priced at Rs545 and is available at Lotus Exclusive Brand Outlets and selected premium beauty stores across India.